ACSM’s Complete Guide to Fitness and Health, Second Edition, offers the most current exercise and nutrition guidelines along with assessments, exercises, activities, and programmes for varying ages, special conditions, and fitness goals. Authoritative and comprehensive, it makes adding, enhancing, or customising a fitness and health routine safe and effective. Are you looking to maximise your exercise and nutrition efforts? 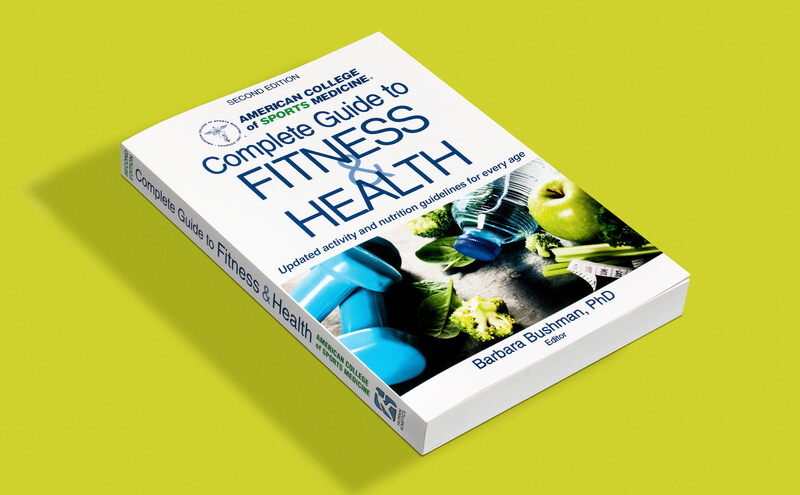 In this new edition of ACSM’s Complete Guide to Fitness and Health, you have an authoritative reference that allows you to apply research-based guidance to your unique health and fitness needs. The American College of Sports Medicine — the largest and most-respected sport science and medicine organisation in the world — has created this book to bridge the gap between science and the practice of making personal lifestyle choices that promote health. With a focus across the entire life span, it shows you how to pursue optimal health and fitness right now and throughout the years to come. This new edition contains age-specific advice within the framework of the latest research, thus helping you to recognise and avoid the lure of fads, unfounded myths, and misinformation. Optimise your weight and increase strength, flexibility, aerobic fitness, and functional fitness. The book features step-by-step instructions and full-colour photos for the most effective exercises. Also included are sample workouts, practical advice, age-specific physical activity and dietary guidelines, and strategies for incorporating exercise and healthy nutrition choices into even the busiest of lifestyles. ACSM’s Complete Guide to Fitness and Health is a resource that deserves to be in every fitness enthusiast’s library. ACSM’s Complete Guide to Fitness and Health, 2nd Edition is available to buy now from humankinetics.com, priced at £18.99 / €20.40 (HK Rewards members £15.19 / €18.24).